Today a grab bag of eight Amish news stories from the past days and weeks. Let’s dive right in. A couple of girls were watching with the guys as well. There is a crossover from Amish to basketball, both directly and indirectly. 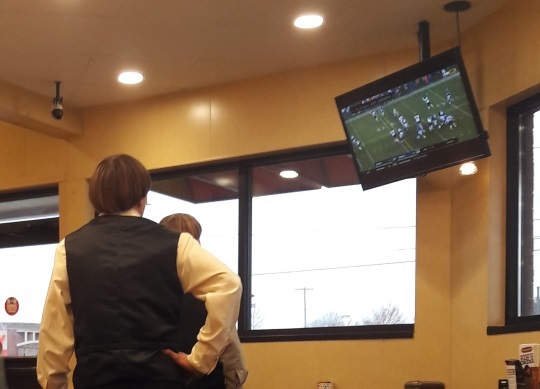 At a home game, teenage and young adult Amish from Topeka and Shipshewana tie their horses to a fence outside the school and make up a large – and distinct – fan section at Westview games. Champlain National Bank Board Chairman Peter Paine noticed and offered to build a hitching post, said Jacqueline Hallock, a company spokeswoman. “It was literally out of the goodness of his heart,” Hallock said. The farmers selected a location near the tree line adjacent to the bank’s parking lot where the horses would be in the shade. The new site has been popular with the farmers and community alike, as indicated by a recent Facebook post. This is not unusual to have pop up when you have Amish come into a new area. Hitching posts in front of your store make it that much easier for you to add new Amish customers. Sounds like this was a nice gesture, and as a bonus, also not a bad bit of PR. 3. Dairy Farmers Find New Milk Buyers (Wisconsin) – Remember the story about Amish dairy farmers dropped by their buyer? The good news is that those farmers have found a new milk buyer willing to take their Grade B milk. Grade B milk is limited to making cheese and a couple of other products, while Grade A can be used for drinking milk. Some Amish from plainer communities provide Grade B milk so need to be able to have a suitable outlet for their product. 4. Oaklawn Helps Amish Mental Health Patients (Goshen, Indiana) – This center founded by Mennonites in 1963 has long welcomed Amish patients. Some employees are of an Amish background and can communicate in Pennsylvania Dutch, making the process more comfortable. Glen Miller, the center’s “Amish advocate”, say stigma over mental illness has declined among the Amish, which can only be a good thing. “We try to provide treatment that is culturally sensitive that does not go against their biblical worldview,” says center employee Dale Raber. 5. Amish Bouncing Back After Business Fire (Centre County, Pennsylvania) – Seems like a lot of fires striking the Amish lately (this is the 4th I can count dating back to the Thanksgiving Eve blaze in Geauga County). 6. 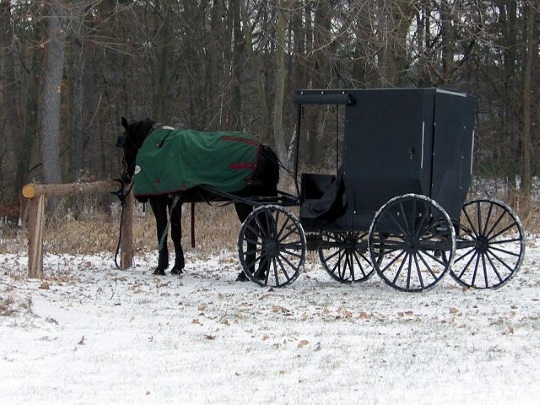 Amish Face Code Violations (Shelby County, Ohio) – Amish in western Ohio face civil suits regarding violations over plumbing, human waste disposal, building permits, and more. This recalls similar feuds such as the one in Hardin County, Ohio which was eventually resolved, or the ongoing case in Minnesota. 7. Amishman Fined $28,000 For Poaching (Coshocton County, Ohio) – An Amish hunter landed in hot water for shooting a second buck after already bagging his allotted limit of one in early November. The man first shot an 8-point buck and then later the same day shot a 26-point buck. He knew what he was doing was wrong, as there was some further deception involved. For the violation he was assessed a fee of about $28,000 and had his hunting license suspended for one year. 8. 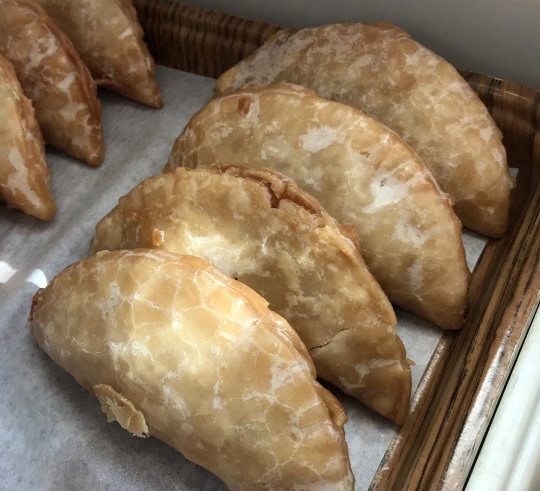 Toasty Oven Bakery (St. Anna, Wisconsin) – The Mast family of Calumet County, WI opened a bakery about 6 months ago. This replaces a bakery which previously existed for about a decade in the community, but which closed two years back. This question is not directly related to the Wisconsin dairy farmers. In general, I thought anyone–Amish or not–can privately sell their milk to individuals who are neighbors or private citizens. Is that correct? Jack thanks and glad you enjoy it – actually the photos are mostly not going to be in the emails themselves, so you’d need to click the “Read More” link in each email to come here to the post page itself to view the full post, as I just send short excerpts in the emails. Hope that helps! Try clearing your browser,it might help. Hey did not know you were on twitter…..hope to see you again….I usually get on here every day and not that much on FB or email anymore…..just when I think about it…. So how’s it going…. ? I graduated from Westview High School in Indiana, and not only are the Amish good basketball fans, they have some good players, too. In the 90s, the Westview public school district was half Amish through 8th grade. At least one local Shipshewana Amish church district was more progressie and seemed to be okay with parents allowing their children (typically male) to attend high school. The Westview basketball teams of the late 90s often featured a few Amish boys. Typically, in Jr. High and early high school (before they turned 16) the boys wore basketball shorts and jerseys but had Amish haircuts. They often got “English” haircuts after they turned 16. I’ve had friends question me on that, so I had to go check and confirm in my old yearbooks that there are pictures of JV and Freshman basketball teams featuring players with Amish haircuts. One starting senior on the 1997 Westview boys basketball team was an Amish boy named Jerry Lambright. After graduating, he attended Goshen College and got an accounting degree. Then he went back to Shipshewana, married an Amish girl, and joined the Amish church. That’s a bit of an unusual path, as far as I know. Dennis Wingard, a feisty, defensive-minded senior guard, grew up Amish. Wingard followed in the footsteps of Norman Miller, a 2017 Westview graduate who worked in a local furniture finishing company for two years after eighth grade before returning to school. Miller, who was too old to play his senior season at Westview, is now a student manager for the Butler basketball team. Wingard said his parents supported his decision to attend high school and pursue his college dreams. One of my high school friends who is now a coach at Westview just told me that it is becoming more common for Amish girls to play on the basketball teams too. She said it is most common on the Junior High teams, but this year she has her first Amish girl playing on the High School JV team. The girl initially dropped out following 8th grade as is common, but came back to attend high school after a semester away. She and her parents are still Amish, but she is continuing in high school as well as playing on the basketball team. This is really interesting Jason, thanks. Something that in most places would be unheard of. It highlights how this community is generally on the more progressive end of things. Yet at least in recent times they have quite a high retention rate here, of around 95% staying in the faith, reported by Nolt and Meyers in Plain Diversity (published 2007).